We offer the Florida concealed carry certification course at an affordable price. "Training is the key to success"
Our team of Instructors are dedicated to providing you the training to feel confident with a firearm. 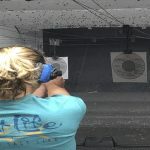 Providing Florida Concealed Certification, Basic Pistol Courses, Self Defense Training, NRA Instructor Certification & Range Safety Officer Certification courses. Super informative and relatable information vital to being safe and aware! Jay is very knowledgeable! Excellent class very informative. Highly recommend! Great instructor! Definitely recommend him. Completed the class Very informative I would recommend!! Jay was awesome! Very informative and I have confidence to Carry Responsibly! Great course. Very informative. Jay is an excellent instructor. Jay was amazing. His class is highly recommended. Thank you. Very informative concealed carry certification course. Thank you so much! very informative class. I would highly recommend taking it. Jay is a great instructor. Jay is funny and informative! Great class and Great instructor. Great course! Jay is a blast! Highly recommend it! Jay is very knowledgeable and is an awesome instructor! I am very happy to have taken his course. 5 stars! Great class. i recommend it!!! Very informative and a fun class. Jay was awesone!! Great class, Jay is a good instructor and he makes it fun and engaging. Just took the concealed carry class and it was great! It was entertaining and informative! I highly recommend it! Class was wonderful. Jay is a great instructor. Great class! I learned a lot and Jay is great! Jay is an awesome instructor who makes learning entertaining and easy to follow. I highly recommend his class. Great class! Jay was super knowledgeable. I definitely would recommend this course to others! Thanks!! Very thorough course! Jay is hilarious and he make sure you understands everything! Great class, I am following up for the next classes. Jay was an amazing instructor. Highly recommend taking his classes. cool guy and kept the class fun. Jay was an amazing instructor. Very informative. his class was very informative. True professional in self defense and firearms training. casual, comfortable,entertaining course. Much better than I anticipated. Highly Recommened! Great experience will definitely ask others to take course with Jay. Great experience, funny instructor, love the enthusiasm and how serious safety is for him. Jay does an outstanding job of teaching concealed carry. Highly recommend his course! Awesome class 😎 It taught me so much, and I enjoyed it! He’s funny personality will help me remember all the informative information he gave! Highly recommend! Awesome class! I’m looking forward to the Basic Pistol Course. Jay was an excellent Instructor! Telling everyone to give him a visit. very informative! Can't wait for the next course I will take! Basic Pistol Course! Very important to knowledge everything and have training before have one ! Great experience, Jay is a great instructor! Great class learned a lot and would recommend it. Fantastic class! I left feeling very confident. Awesome Concealed Certification class! Very informative. Class was very informative and I learned something new Thank you for a great class. Jay is a great host! He makes the class educational and extremely entertaining. Would highly recommend!! Absolute best teacher. Great sense of humor. Class was great, learned a lot. Loved the class. Jay was very informative and answered all our questions. Great class!! Made it very enjoyable and informative at the same time!! Love Jay!!! Jay is a fun informative instructor! Amazing!! Highly recommend! Love Jay! Excellent course and instructor, very informative. Jay was great. Super informative and reasonably priced. Excellent class and very informative. Jay is super funny and a great instructor; kept me interested the whole time. Jay is a great instructor and made the 2 hours fly by. Definitely recommend. Great class. I highly recommend taking this class. Had a great experience In Jays class he’s awesome instructor that keeps the class involved! Jay was an awesome instructor, I definitely learned a lot! 5 Stars ⭐️ ⭐️⭐️⭐️⭐️ Very funny, and informative will be back to take more classes. Jay was very informative and a great detailed instructor. Jay is a fun and personable instructor and runs a superb course! Thank you! Jay is a great guy as I learned a lot. I highly recommend. Jay is a fun and vibrant instructor. He is also very knowledgeable, and has a passion for teaching. This training is a must. Super informative and fun. I highly recommend. Very informative. 5 stars! The instructor was great and made the class entertaining. 5 Stars! Very informational, great experience. Jay really cares about students and full understanding of firearms! Well worth the training. Highly recommend this course, very informative! Jay is da Man! Happy I chose his course, very knowledgeable n entertaining! Great instructor! The class was very informative. Great course! Jay is an awesome instructor. Makes learning fun! jay is very informative and knowledgeable and entertaining. would highly recommended. Jay is equally educational and funny. I learned a lot during this course and had a great time, jay was a great instructor! Great class! instructor Jay is funny and knowledgeable! highly recommend!! Jay is great, I learned a lot and he made the class fun. Jay was amazing and very knowledgeable. Made the class funny and enjoyable! Definitely recommending him. fun class! really funny and entertaining instructor, Jay. Fun class. Very engaging and not boring. Informative and Fun. Jay was great, hard day but kept me from falling asleep. Good class with much more available. Class was great! Instructor very funny! Very informative! Awesome experience! Take the course! You will leave with confidence! Jay is so great ! Knowledgeable and kind of funny! Jay is very helpful and educated with fire arms. I would highly suggest his class! Amazing class! Jay made me feel more aware and knowledgeable about receiving my concealed weapon certification! Would recommend to family and friends. Great class. Jay is very knowledgeable and highly entertaining!! Take the class! Fantastic course! Highly recommend ! Jay was very informative and thorough. The class was a great time and he made it interesting! Great class! look forward to taking the basic pistol course! Jay keeps the class interesting, and makes the process painless. Would definitely recommend. I absolutely loved this class! I would highly recommend this to everyone at any age! Excellent training! Jay’s a great trainer! Great class very informative. Learn more than I expected to learn coming in the class. Absolutely amazing! Loved this class! Jay knows his stuff! I just took the course and jay was friendly, articulate, knowledgeable, and a true professional. Excellent class, instructor was a really great guy! Very informative class. Will definitely do the basic pistol course. Very informative and detailed. You will enjoy the vibe that Jay presents his training. You will not be sorry - great price, great instruction, does not waste your time -we loved it! Very knowledgeable and fun training. Highly recommended. Great Course Jay! Im Ready to sign up for the Basic Pistol course. Good man. Very knowledeable. Will recommend to family. Amazing course. Great info. Highly recommended! Take the self defense course along with it. Process is super easy. Great class I will recommend this training to anyone who wants to know how to use the firearm the proper way. I learned a lot Jay is very Transparent with the information. Awesome instructor!! Very knowledgeable and he makes the class fun!! Jay is a cool guy and doesn't afraid of anything. Wonder instructor great class!!! Learned a lot!!!! Jay is a great instructor made everything very relaxed and fun. Best deal and place to go for this course in Boca. Entertaining and instructional class! I would recommend taking the class with Jay. Jay’s awesome! Definitely interested in all of his courses! Loved Jay' s class. He is a great instructor. He is very funny and made the class fun. Fabulous...Jay is a great instructor!! I learned a lot and will be taking his next course! Very informative class that gives proper training. Awesome course to attend! Course was very fun and comfortable to attend. Highly recommend this course! Well done .... informative and fun.!!!!!!!!!!!!!!!!!!!!!!!!! !